A dynamic relationship is assured when Aries initiative meets Capricorn ambition. These Cardinal signs will push each other forward. But they’ll clash when Aries steps out of line and Capricorn cracks the whip. Sun in Aries wants to start first and (hopefully) finish first. He doesn’t always have a specific goal; sometimes he’ll charge forward just because there’s something to meet head on. He’s fantastic at initiating relationships, but not so great at completing them. Sun in Aries gets bored quickly. If his partner doesn’t provide a challenge, he’ll stir things up or move on. This independent sign is happiest with a lover who excites (rather than needs) him. Moon in Capricorn is a pro at commitment, but inexperienced with emotional intimacy. Settling down with one partner satisfies her need for structure. However, sometimes she’ll retreat to her emotional fortress of solitude. Independence makes her feel in control; her partner should be self-sufficient enough to not take offense when she withdraws. 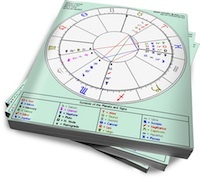 Moon in Capricorn needs success, and functions best with an ambitious partner whom she can respect. When she feels threatened, she’ll try to control everything from joint finances to what her partner eats for dinner. Aries and Capricorn will appreciate each other’s drive and independence. Conflict will arise as a result of their different styles. Moon in Capricorn will support Aries’ initiative, but she’ll have issues with his lack of planning. His spontaneous leaps will threaten her, and she’ll clamp down on his activities. Sun in Aries will struggle against Capricorn’s reactionary rules. A parent/child dynamic will emerge; Moon in Capricorn will play the disapproving heavy, and Aries will respond with bratty behavior. To prevent this relationship from dissolving into endless conflict, these two can incorporate some lessons from each other. Sun in Aries can use Capricorn’s support to moderate his energy and reach longer-term goals. Moon in Capricorn can follow Aries’ lead and inject a little spontaneity into her emotional regime. Together, they can have the best of both worlds.